Do you want to see which one I got? I fell in love with the whimsy of this sign. I think it's very Charlie Brownish! I HATE this electrical box on the wall, but what can ya do? 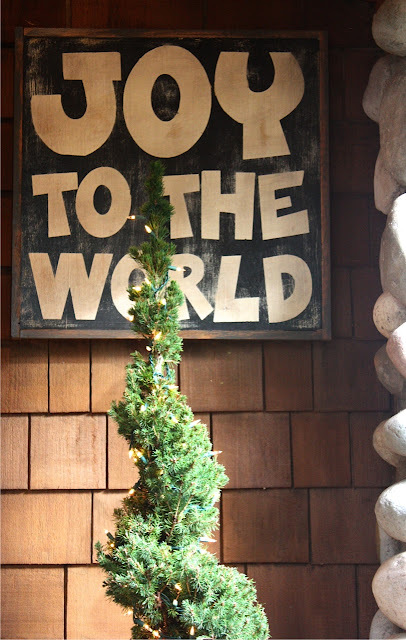 I got so inspired when I put this sign up, that I added white twinkle lights on the tree. 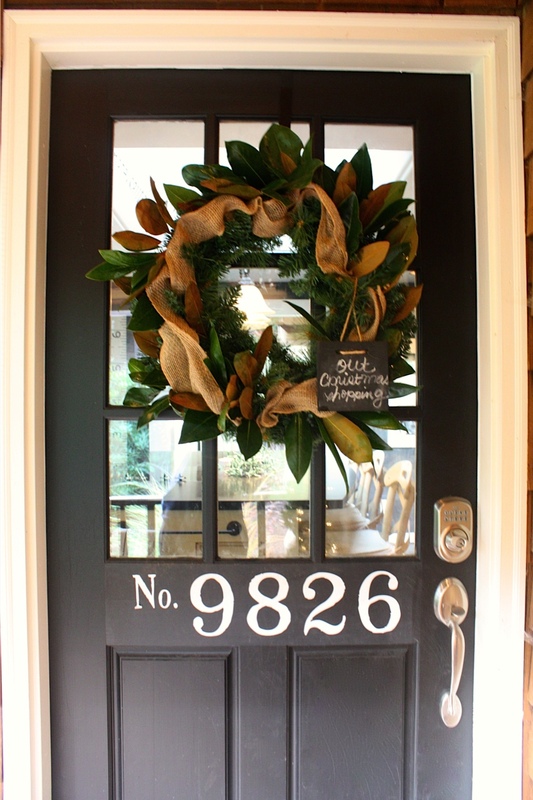 Then I decided to add a faux wreath to the front door. so I tucked those in here and there. I know it's a little soon, but I just couldn't help myself! And don't forget to enter the giveaway in the below post to win one of your own. Your Christmas-ey entry way looks so pretty Melaine!! their signs are even more amazing in person aren't they?? That is exactly the sign I'm hoping to win-sigh! that sign looks even better where it's hanging. Hope I win it. Love it! And I Love your display! Love the entryway! Hang a basket over the electric box..that way the meter person can still read it but it won't be so noticeable. Melaine...it looks great on your front porch! 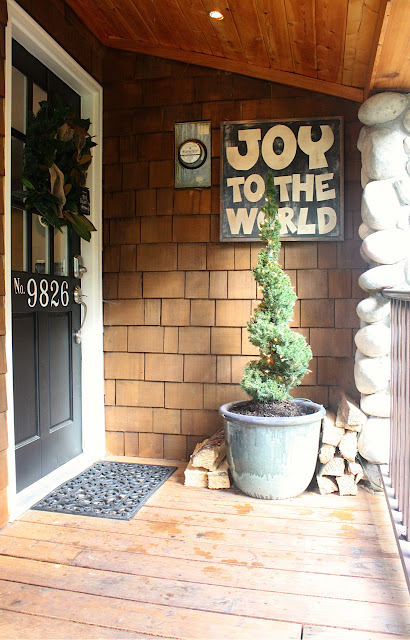 What a great way to welcome your guests....thanks for showing it off in your gorgeous home! Your porch looks great! Love the sign you chose - It is very happy! Your sign makes me feel happy! 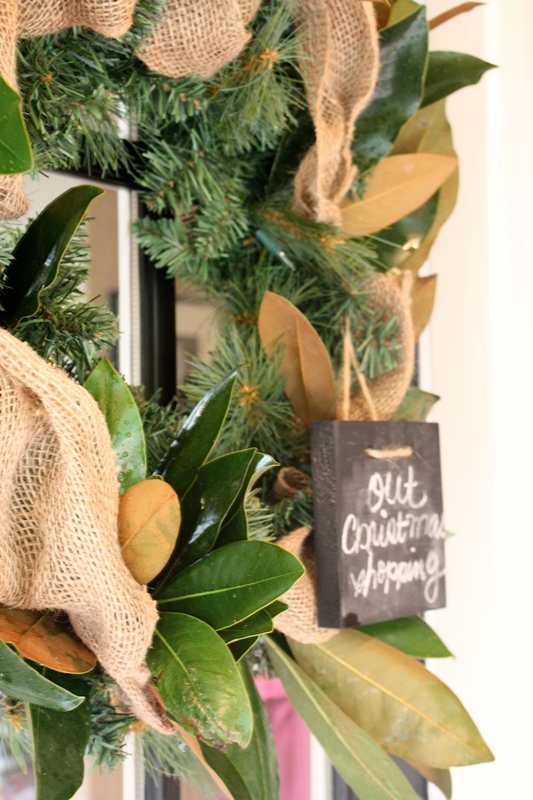 Love the wreath with the magnolia tucked in! You have a such pretty style. Loved all of the photos of the house! And I think the electrical box gives the entrance a vintage industrial vibe :) Nicely stacked woodpile BTW. 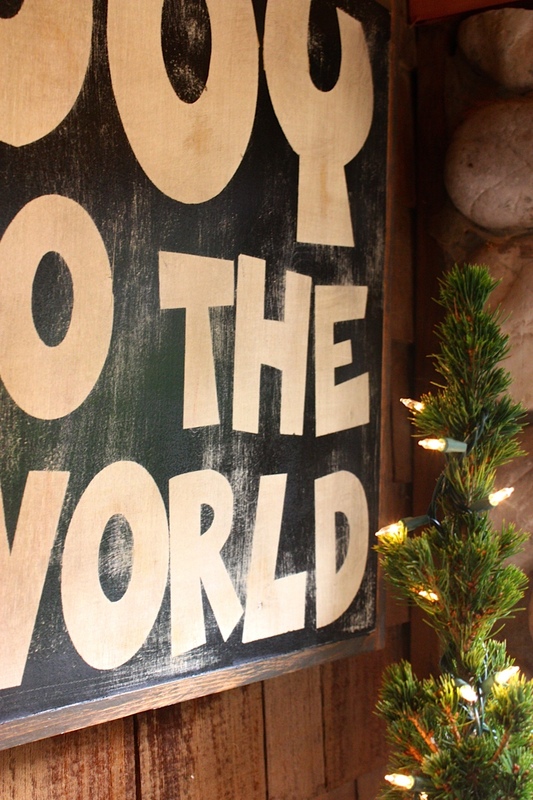 The signs looks perfect on your house! 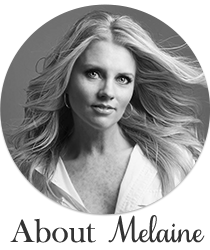 Melaine...I love it! Your home is looking gorgeous as usual! After all this time, I am still in love with your house numbers on your door!